Time can take its toll on our much-beloved garments. We spend a lot of time finding the right attire for different events and occasions, whether it’s for a wedding, summer cocktail party, the office or even just casual wear. A comfortable pair of lounge pants can be the most upsetting to part ways with, especially if you’ve just got them to the perfect stretch and shape for your relaxation needs! Well, with our handy hints and tips to improve the lifespan of your clothes, you’ll be able to keep hold of your favourite items for much longer. It’s winter again. You delve into the forgotten drawer to dig out your favourite knitwear and blankets only to find they’re musty and riddled with holes. 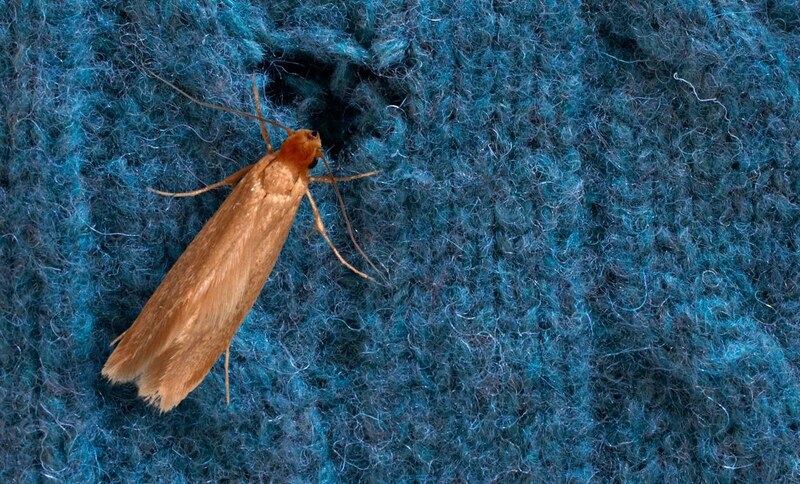 The question on everyone’s lips is how to get rid of clothes moths? Our extraordinary Moth Stop range will put a stop to them, protecting your favourite belongings by fighting the root of the problem. This range of moth killer kills off both the moth larvae and the eggs, as well as those pesky clothes moths. The delightful lavender scent is an added bonus, keeping your clothes smelling wonderfully fresh and eliminating those nasty musty surprises. The longer clothes are left unused, the more susceptible they are to moth invasion. If storing your clothes in a wardrobe, the Moth Stop Hanger is the ideal item, protecting multiple items for up to 6 months. Alternatively, give your clothes a spritz with Moth Killer Clothes & Fabric Spray, which effectively banishes moths for 3 months. Visit the website to view the full Moth Stop range and to read the fantastic customer reviews. Time to make way for your new wardrobe additions? If you’re waging war with your bulging wardrobe to fit in new items, or deciding which items to get rid of… stop! You can save your wardrobe, and your clothes, by storing them safely away. Our range of handy, space-saving vacuum storage bags will keep your items compact, secure and fresh until you next need them. Give them a spritz of Moth Stop before you put them into the bag, and your comfy knits or summer essentials will emerge lavender fresh and moth free next season. View our vacuum pack bags here including Lakeland own brand and Good Housekeeping Institute approved Pack-mate. How many items of clothing have you lost to bobbles? Sometimes, after only a few washes, garments can appear to be destroyed, discarded to the bin before their time. Make your clothes last longer with a garment-saving de-bobbler, like the Gleener Fuzz Remover. The Gleener 2-in-1 bobble remover is a multifaceted marvel, with one end acting as a brush to remove fluff and lint, while the other end effectively removes those bothersome bobbles. The innovative, ergonomic design allows you to easily switch between functions, while the interchangeable heads meet the needs of a variety of fabrics. 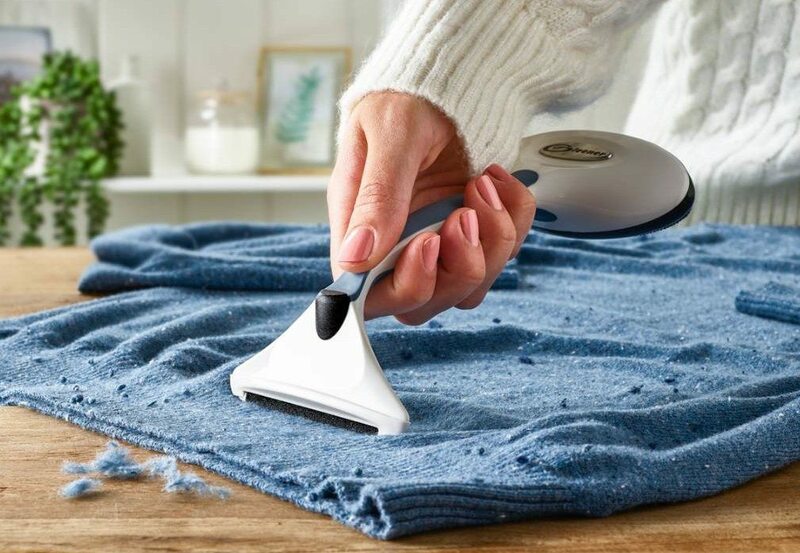 This mini miracle can even be used on furniture, saving your sofa for many years to come. To eliminate your home of bobbles, simply select the correct head (there is one for fine, medium and heavy-duty fabric, all clearly labelled), and run over the affected area. At this stage, the fabric may still appear rough around the edges: worry not. The real magic happens when you run the broad brush over the fabric, revealing a smooth surface that looks like new. Gentlemen, avert your eyes for a moment, this one’s just for the ladies… bras. You spend valuable time searching for the correct size and shape (a near impossible task! ), you wash it a few times and it loses its shape leading you to question how to clean bras effectively. Often, you go back to the store to find the holy grail of underwear again, only to find that it’s been discontinued and you have to start the process all over again. The solution? Make your favourite bra last longer with Extra Care Bra Wash Bags. The reinforced, fine mesh bags protect wired bras and help them to keep their shape, saving you time and money. Check out the website for our full range of mesh laundry bags – there’s an array of sizes and shapes, ensuring you can wash the most delicate of items with confidence. So, before despair at your depleting wardrobe, take a look at our website for a Lakeland solution. Alternatively, pop into our store for a chat with one of our colleagues who’ll be happy to help find the right product for you. An interview with Mary Berry, Queen of CakesMetal in the Microwave – Madness or Miraculous?